I was lucky enough to kick off National Poetry Month as one of the poets reading at an event at Book Passage in Corte Madera, flagship of the iconic Bay Area bookstores. Rebecca Faust, great Poet Laureate of Marin County, presided. 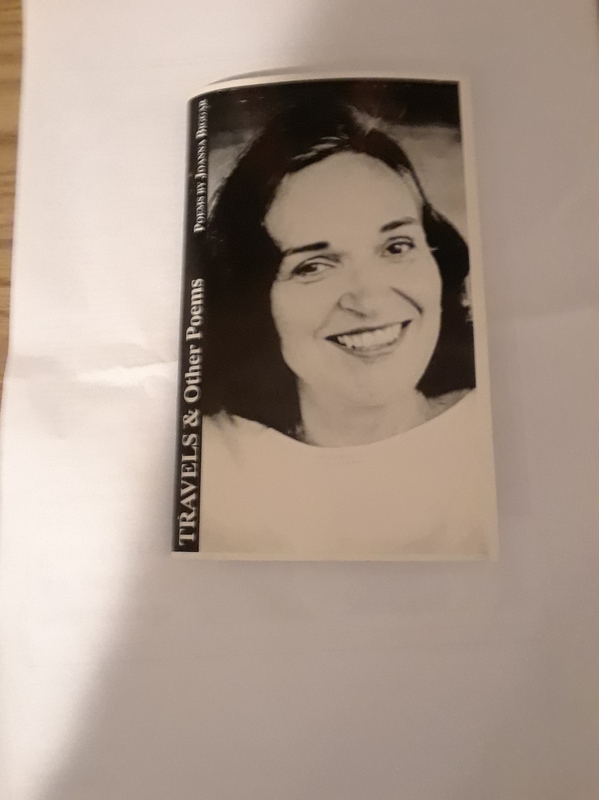 I chose an old poem, first published in a chapbook, Travels, by the Argonne Hotel Press in 1996. I chose it because, with its retelling of Odysseus’s homecoming to Ithaca from his wife Penelope’s point of view, it seemed a good segue from celebrating National Women’s Poetry Month to celebrating National Poetry Month. Also, it was on my mind because I am soon to accompany Wanderland Writers to our writing adventure in Greece. that one, she’d heard, had lasted a year. and her heart, slow constricted fist beyond the leap of yearning, stopped its beating. Now, they said, he was dead. 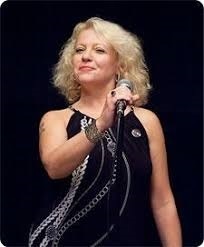 For the first time in twenty years she laughed, twenty years of rock island, stone, sea, swells of waiting. So, what had he heard? That was what they came to. Still she dreamed Odysseus, closed her eyes to see him wearing those twenty years. Separate a woman from her desire. the holier longings of love. Broad-armed, steeled in beard and bone. Did he know at last what this journey had been for? mirrors on a pristine lagoon. You are the most beautiful, he thought. 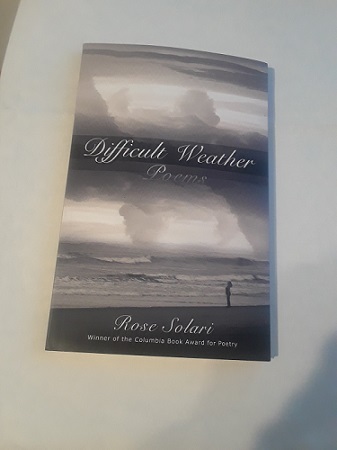 Within days of the reading, I received a copy of writer, friend and publisher, Rose Solari’s reissued book of poetry Difficult Weather. Winner of he Columbia Book A ward for poetry, it was published by Gut Punch Press in 1994. 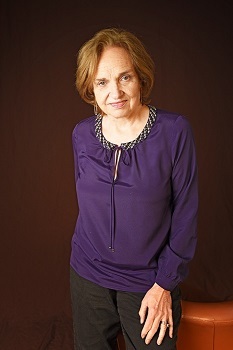 In the introduction to the new edition, published by Alan Squire Publishing, Katherine Young makes the observation that for the first volume of a young poet, these poems are “extraordinarily mature.” In reviewing the book now, I found it was like revisiting an old friend who has, in every respect, stood the test of time. Among others, the themes of family and the struggle for one’s own identity are particularly strong. And on this reading, I was especially taken with the poem “The Beginning, 1939,” in which the poet goes to her own imagined roots in an early moment in her parents’ relationship. The sounds of the piano, often associated with her mother, echo through it. were red and tickled the palm of his hand. could flush past brown and into black. was caught in the air between the last note and the next. And in that last note, suspended in air, the reader gets wind of what is to come: difficult weather.